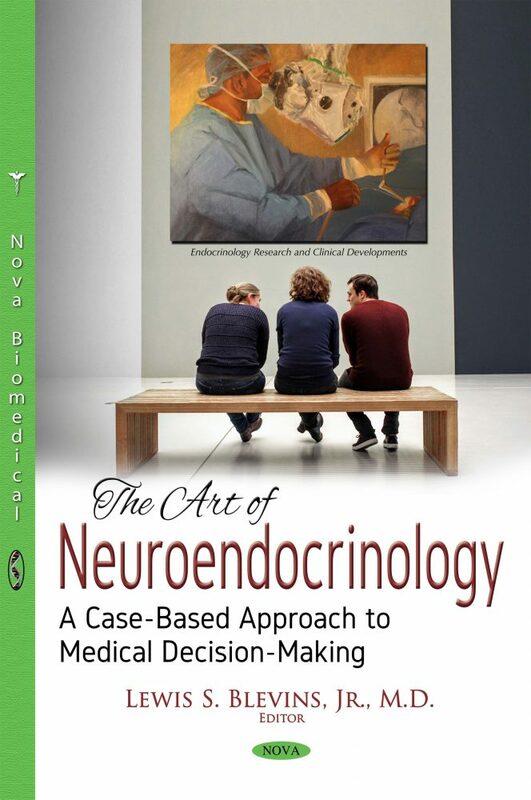 The Art of Neuroendocrinology: A Case-based Approach to Medical Decision-Making is not your standard textbook of pituitary endocrinology. This comprehensive collection of works presents unique, interesting, and often challenging patient cases. These reports illustrate the complexities of medical decision-making, incorporating evidence-based medicine and the practice of the art of medicine, in the evaluation and management of patients with various pituitary disorders. Experts in the field present their illustrative case studies, a related state-of-the-art review of the literature on one or more relevant topics, discuss the diagnostic and/or therapeutic dilemmas, share their thought processes to reflect their medical decision-making, and review the outcomes of the decisions in their patients. Chapter 11. Cushing’s Syndrome: What Should We Do While Investigating for the Source? Chapter 16. Hyponatremia after Pituitary Surgery: SIADH or Cerebral Salt Wasting? Chapter 34. Striving for the Best Possible Quality of Life in a Complex Cushing's Patient: Cure or Control? Chapter 37. Is It Cushing's Disease? Chapter 41. Striving for the Best Possible Quality of Life in a Complex Acromegaly Patient: What Are My Options? Chapter 45. I Suspect my Patient Has a Thyrotropinoma: What’s Next? Audience: Professionals, patients, students. Professional groups include Endocrine Society and Neurologicl societies as well as AACE. Patient support groups would be interested…Pituitary World News, Pituitary Network Association, NORD, Acromegaly Network, etc.